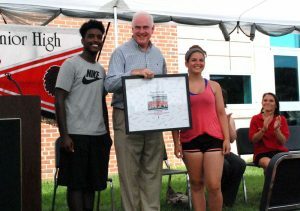 The Coatesville Area High School marching band was nominated by Congressman Pat Meehan as the only band from Pennsylvania nominated to perform in the National Independence Day Parade July 4, 2017, in Washington D.C.
CALN – The Coatesville Area High School marching band recently received the honor of being the only marching band from Pennsylvania nominated to perform in the National Independence Day Parade July 4, 2017, in Washington D.C. Nominated by Congressman Pat Meehan (R-7), this is the first time in the history of the high school that the marching band will be participating in the national event. 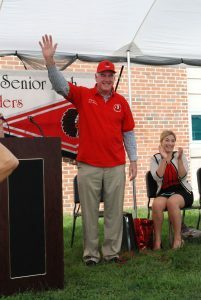 Last week, Meehan, along with band members, color guard, parents and staff gathered outside at the high school to celebrate the occasion. 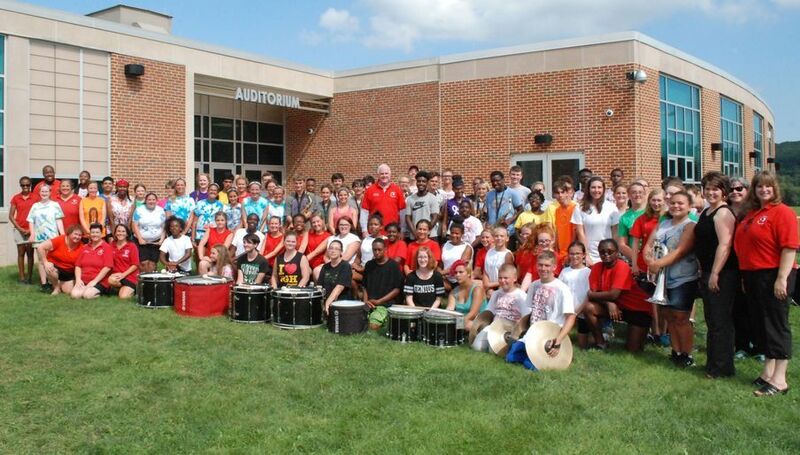 Meehan also told students that he hopes they appreciate the joy they are giving to others when they perform and thanked parents and supporters for making it possible for students to attend the three-day event. 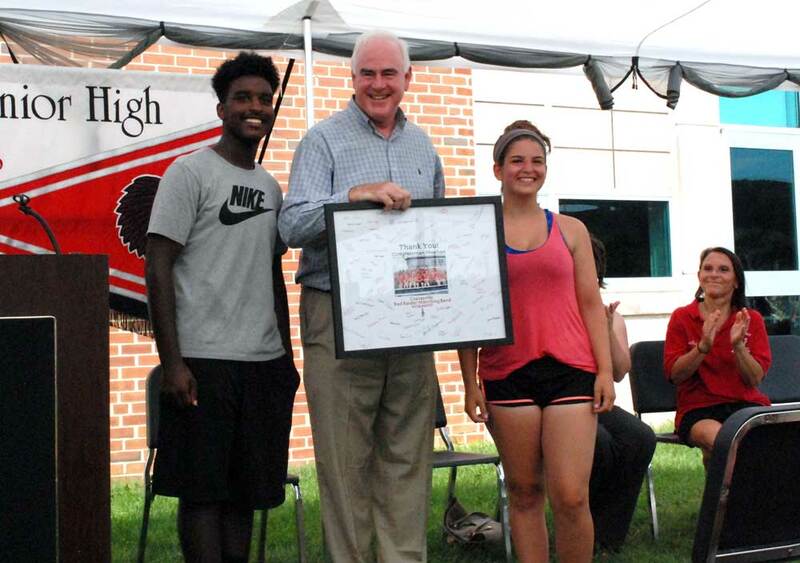 Kameron Reeves and Sarah Morroney, drum majors for the marching band, presented Meehan with a framed picture, signed by all band members. After receiving an embroidered marching band polo shirt, hat and Christmas ornament, Meehan says he is now an honorary member of the band. Before closing with a performance by the marching band, drum majors Kameron Reeves and Sarah Morroney presented Meehan with a group photo, signed by the marching band, a marching Red Raiders polo shirt, hat and Christmas ornament as a thank you for the nomination.